Have you ever had a sense that you might be called to serve God through the blessings you have received? Maybe you have sensed a call to assist our priests in the daily work of parish ministry. Maybe you have become acutely aware of the many injustices facing God's people in the world, and you feel a call to try to make a difference. All Christians are called to serve, but perhaps you have felt a desire to move closer to God and His Church in order to serve others in a new and purposeful way. Is God calling you to be a permanent deacon? By entering into the process of discerning a vocation to the permanent diaconate, you are responding to this sense that God may be calling you. It starts simply and becomes a journey of self-discovery in service to God and His people. 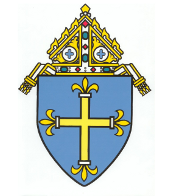 Perhaps this website will confirm your personal interest in the diaconate and stimulate a decision to look deeper into what is involved in becoming a deacon in the Diocese of Duluth. Pray: The deacon's life is marked by an increase in prayer. During Formation he learns to pray the Liturgy of the Hours, the ancient prayer of the Church. Prayer brings rhythm and depth to all that he does. Learn and Grow: Preparation for diaconal ministry involves serious study. The deacon's formation does not end at ordination, but becomes a way of life. Serve: The term "deacon" comes from diakonia, a Greek word meaning to serve, to attend to the needs of others. In a world that focuses on "looking out for Number One," a deacon looks to the needs of others. His ministry is the ministry of charity. In carrying out his ministry, a deacon's life is an image of Christ the Servant. Worship and Sacraments: Ordained to serve, a deacon's life is immersed in the sacramental life of the Church. He comes to cherish the sacraments. He is a man of worship. A married deacon finds that his principal support comes from his wife and children. A healthy marriage and family life are essential to his ministry. A candidate's wife is expected to be a willing participant in the process of formation. It is important that the children of a couple in formation come to understand as clearly as possible what a deacon is. It is equally important that the children come to realize the joys and demands of having a father who is a deacon. Are there requirements to become a deacon? What is involved in becoming a deacon? • Preparatory discernment precedes actual formation with a year in the Path of Inquiry and a year of the Path of Aspirancy. What do you know about being a permanent deacon? You've been reading this website; you are interested. Take some time to learn as much as you can, and talk to deacons you know. If you find yourself serious about discovering whether God is calling you to become a deacon, you must begin with an honest search, which begins in your own heart. What is God saying to You? Ask Him, and He will answer. He may speak very clearly to you, or you might feel a gentle tug of grace moving you to this ministry. If this sense of being called persists, trust it, call the Diocese and speak to the Director of Deacon Formation. He will be happy to answer your questions and help you. How can I be sure I am doing the right thing? Discerning God's call is not "cut and dried." Simply stating, "I want to be a deacon," even with enthusiasm and conviction, does not automatically result in ordination. The first big step comes when you realize that this call is not a personal one. God calls men to service through His Church. As a candidate, the Church helps you to discern your call to serve. Getting ready to commit yourself to ministry in the Church for the rest of your life is a process that unfolds over a period of years. Many important factors, including family and work situations, must be considered. Formation is gentle and thorough. All of your questions may never be completely answered. By entrusting yourself to this formation, you entrust yourself to God. Faith is always the heart of this process. Deacons were relied upon as leaders and enablers of local apostolic communities, as related in several places both in the New Testament and writings of the Fathers of the Church. Deacons assisted the bishops of the early Church, acting as the bridge between the bishop and the local community's needs. Deacons were examples of loyal faith and dedicated service to the Church. Popular saints like St. Stephen, St. Lawrence, and St. Francis of Assisi served the Church as deacons. The restoration of the order of Permanent Deacons was seen as vital to the life of the Church by the bishops of Second Vatican Council, and has been implemented and enhanced by Pope Paul VI, the National Catholic Conference of Bishops, and Pope John Paul II. In the United States, the restored order of Permanent Diaconate was begun in 1968 with the first class of permanent deacons in the Diocese of Duluth ordained in 1981. The Permanent Diaconate has received the encouragement and support of bishops, past and present, of our Diocese.